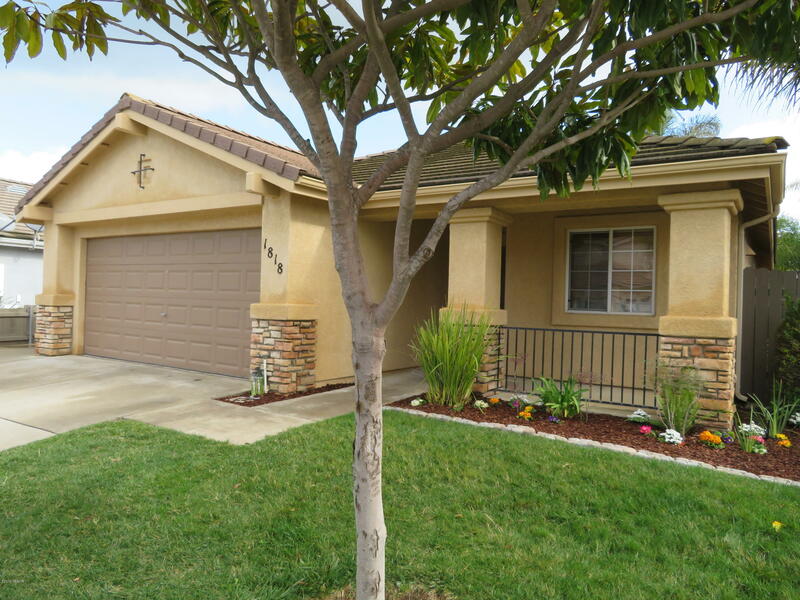 Single story home on a cul-de-sac in Santa Maria's desirable northeast River Oaks neighborhood.Great curb appeal. Open floor plan with high ceilings in dining/living room area.New appliances include stainless steel stove, microwave & dishwasher. New garbage disposal. New lighting fixtures throughout home. Freshly painted. New carpet in master bedroom, walk in closet and second bedroom. Third bedroom is laminate. Matching Faux wood blinds throughout home. Hot water heater installed 2.5 years. Fascia board and eves & garage painted in 2016.Home is near walking/biking trails along Santa Maria Levee and a community park. Quick access to 101.Agent owned. Directions to Property: From East Donovan go south on Carlotti. Left on Stanford before the school. Immediate left on Duke.